24 years old student of the University of Vienna Max Schrems is fighting with the Facebook company for several months. It all started with the fact that Max posted a few well-composed letters to the Facebook, and made the California’s office to sent him a CD-ROM with all the personal data collected over three years of activity on the site. 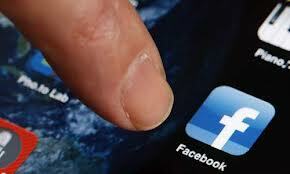 Every user may request all collected personal information on Facebook and should receive it within 40 days. The site has a special form for such request. You will receive a CD with the PDF file. The size of file can be several hundred megabytes and contain more than 1,000 pages. Max Schrems got a PDF with more than 1200 pages, the information in the file has been split into 57 categories (work, education, friends, political views, hobbies, pictures, etc.). As Max says, even the KGB hasn’t such a complete information about users. 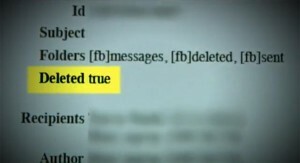 But the most surprising, that among other things in files were deleted messages, chat sessions, names of former friends and other data marked “deleted: true”. Facebook hasn’t sent all available information. The social network is also collecting users’ information about visited web sites with a Like button(even if you don’t press the button). CD data missed all this information. More and more people from Europe request the CD with their personal information and then share their experience on the forums. The problem is already being discussed in the mass media. It’s funny that all this is possible only for the reason that Facebook opened in 2009 it’s headquarters in Ireland, Dublin, probably to avoid taxes. Now, as the company officially registered in Europe, it falls under the European legislation on data protection, which is much more rigid than in the USA. The Irish Committee on Data Protection has launched an investigation about the “fictitious” data deletetion on Facebook, that is an absolute violation of the law. Categories: Facebook News, Facebook Rumors, Facebook Security.